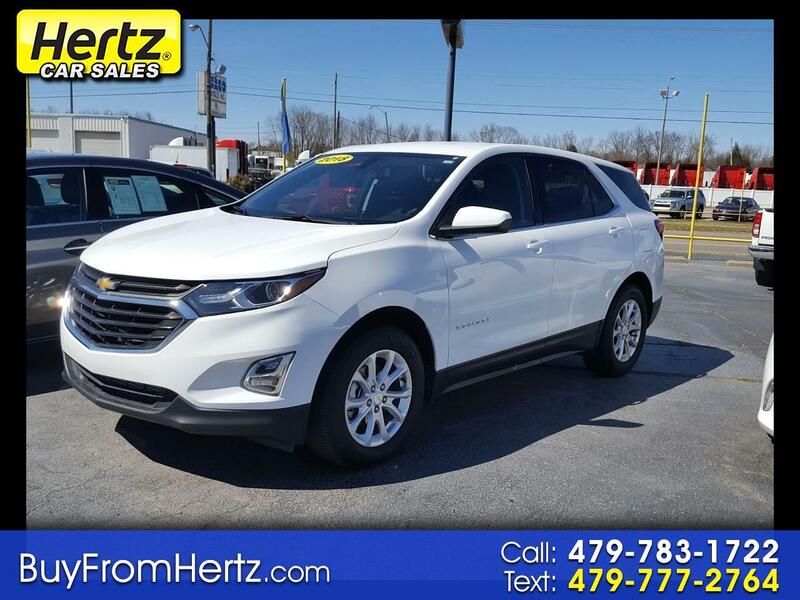 Summit White 2018 Chevrolet Equinox LT 1LT FWD 6-Speed Automatic Electronic with Overdrive 1.5L DOHC Hertz Car Sales is an used car dealer serving Fort Smith and the River Valley for over 40 years. We pride ourselves on serving our customers by offering a variety of quality, late-model, low mileage vehicles at unbeatable prices, and friendly service from our no-pressure, no-hassle sales staff. We offer the best cars from Hertz rental fleets all over Arkansas, so you know you are getting the highest quality, well-maintained vehicles when you buy from us. Come see us for a test drive at 2810 Midland Blvd. Or call us at 479-783-1722. 26/32 City/Highway MPG Call (479) 783-1722 today to schedule your test drive! Hertz Car Sales is a top-ranked dealer offering used cars in Fort Smith, Arkansas. Visit Hertz Car Sales online at www.buyfromhertz.com to see more pictures of this vehicle or call us at 479-783-1722 today to schedule your test drive. The options listed on this website are a summary of all the possible options offered directly by the manufacturer and may not reflect the options on each actual car. Please contact us or stop in and we will be happy to answer any questions about the features of any car on our lot.